Always keep your eyes open for goodies - here’s a quickie trio of pictures, snapped in a tiny little corner store, whose main trade is in refurbing old ‘white goods’ - washing machines, fridges and the like. The store owner turned out to be a keen collector, with a loft stuffed with desirable items. 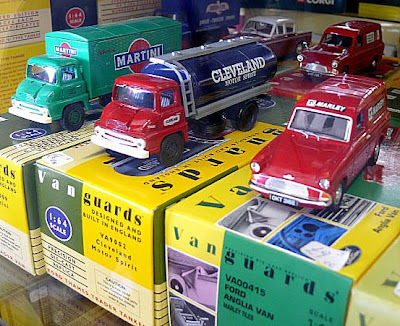 The ones in the shop were just a convenient overflow spot to thin out his collection. 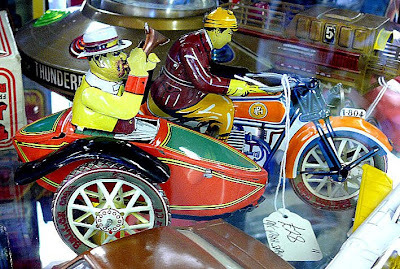 You never know, there might just be that little item to make a collection sing - in my case, after some hard bargaining, I strolled out with the tinplate motorbike!